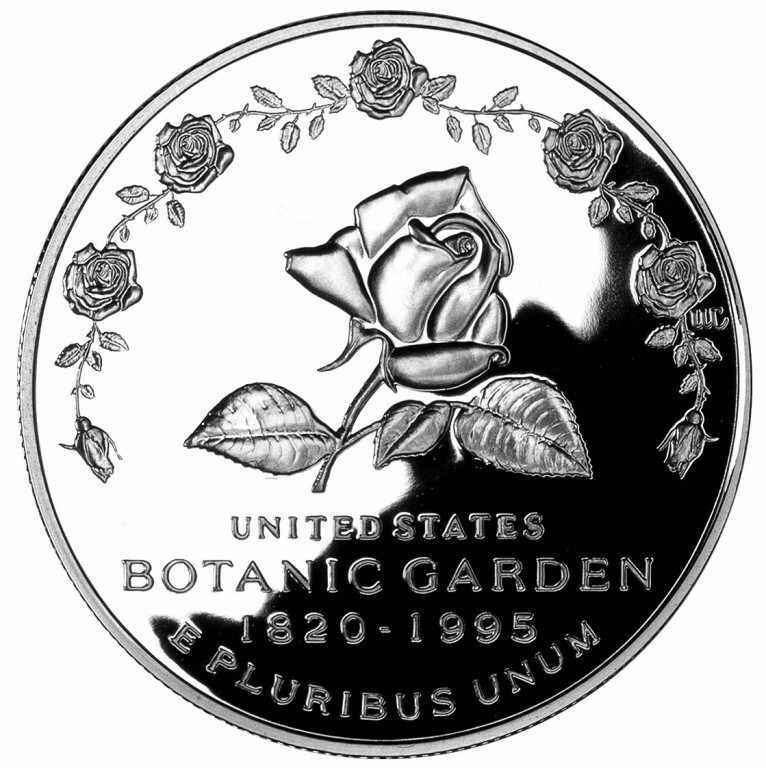 Released on February 21, 1997, this coin commemorates the United States Botanic Garden, a living museum of flowers and plants established in Washington, DC by the founding fathers; George Washington, Thomas Jefferson and James Madison. President James Monroe signed legislation in 1820 that led to the creation of the U.S. Botanic Garden. Obverse design: The coin features a rendition of America's national flower - the rose - beneath a detailed rose garland. 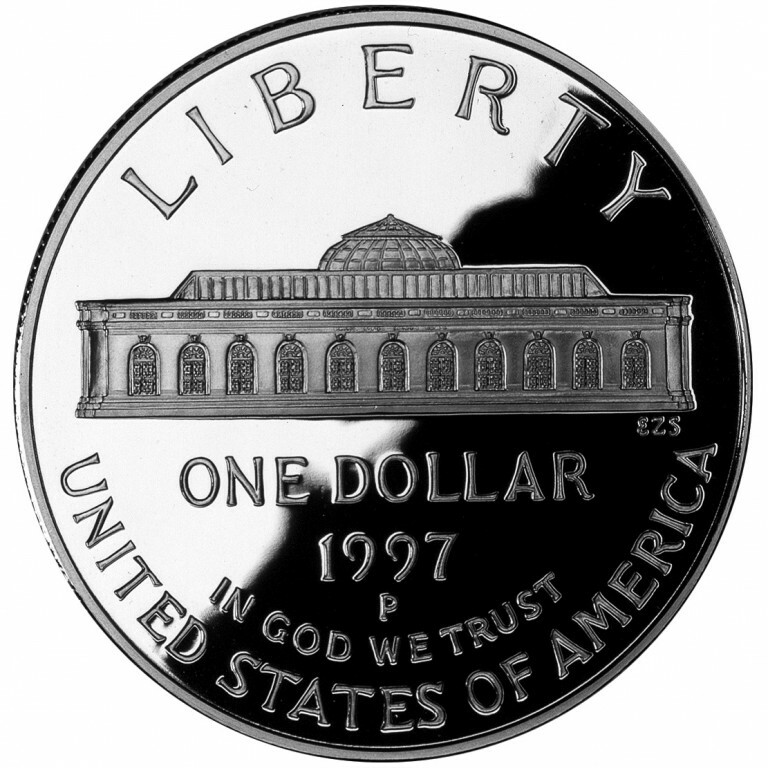 Reverse design: The coin features a multi-arched French façade of the U.S. Botanic Garden.